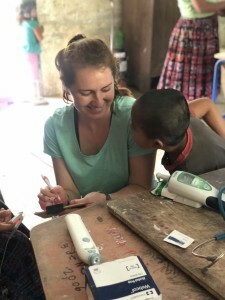 Since beginning nursing school it has been a goal of mine to go on a medical mission trip. Entering the world of medical missions was intimidating and difficult to navigate, so I am forever grateful to ONAAT for providing me with incredible experience I was finally able to have! 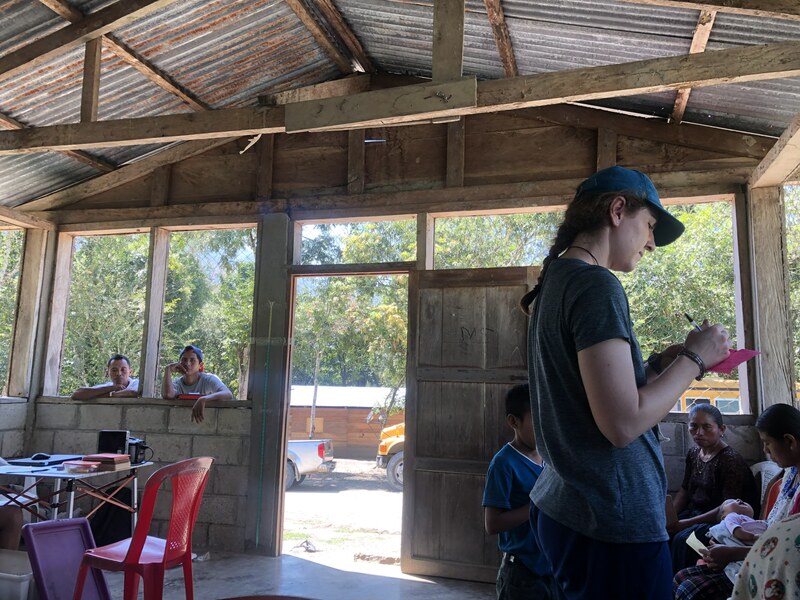 My trip to Guatemala with GVH, described in one word, was moving. The people I encountered, both patients and professionals were incredible. Going on a medical mission, I expected the villages to be simple, and I expected the healthcare we would provide to be heroic. I was wrong on many levels. The villages were organized into a community system that ran independent from any formal governing body. I was surprised to find there were health promoters in each village who served as the contact point for any medical problem, and a group of individuals who met to discuss if they would like for our group to continue to host clinics in their villages. Not nearly as simple as I imagined. And the work we did was nothing like what I anticipated. I expected the patients to have undiagnosed life threatening illnesses, and we would be saving everyone’s lives. In reality, the patients had medical problems simply caused by living a lifestyle where they need to work incredibly hard just to survive. The most rewarding experience I had was being able to communicate with the patients. The nurses worked in triage, sending patients to providers or group chats throughout the clinic day. We were responsible for obtaining the patient’s chief complaint, but it is never simple when everyone speaks different languages. It was difficult to reach far back in my memory for high school Spanish, and using an interpreter, for translation from the Mayan language the villagers spoke, to Spanish was even more complicated. So when I was able to communicate effectively, and the patients would nod their heads with understanding, and I was understanding what their symptoms were, I felt a major sense of accomplishment. Communication got easier and easier every day, but the sense of accomplishment remained just as wonderful every time. One of the things I enjoyed the most was when the last patient went through triage, there was some time where I was done with work but the clinic was still running. I enjoyed being able to take the time and check in on all of the other providers and make sure they had water/snacks to help them get through the final stretch. I also really liked that the kids would gather around the clinic at the end of the day. I found that I always had a little bit of energy stored up to run around and play with them. Although none of us were able to communicate with words, the language of fun is universal. It was wonderful to be a part of that. The last thing I am incredibly grateful for is the healthcare providers I was able to work with. Everyone on the team came from different backgrounds and had had different experiences. And with the amount of time we spent together over two weeks, I was able to hear about a lot of them. After learning what everyone has done with their careers, I have been so inspired to do more. I was able to make connections and bounce ideas off of the other healthcare providers and this has filled me with the desire to become involved with other organizations, and also to pursue going back to school to become a nurse practitioner. The work we were doing was amazing. The scenery in Guatemala was incredible. But it is the people I met who will leave a long-lasting impact on my life.